Is it cheaper to get a mortgage from a building society? Building societies grant nearly a third of mortgages – but how do their rates compare to the biggest banks? Getting a mortgage for a property in Surrey from a building society in Leeds might seem a little odd on paper, but homebuyers could be missing out on the best deals by overlooking building societies located in areas they don’t live in. Here, we take a look at how mortgage deals from building societies stack up against the big banks, and offer advice on the pros and cons of using a smaller lender. For impartial, expert advice on getting the right mortgage, call Which? Mortgage Advisers on 0800 197 8461 or fill out the form at the end of the article for a free call back. An increasing proportion of homebuyers are looking to building societies in their search for the best mortgage deal. New data from the Building Societies Association (BSA) claims its members approved 126,209 mortgages in the third quarter of 2018, an increase of 10% year on year. The BSA says building societies now grant nearly a third (31%) of all new mortgages, and lent a total of £3.9bn in the third quarter of 2018. How do building society mortgages compare? In the tables below, you can see how the cheapest fixed-rate deals (by initial rate) from building societies compare with those from banks at four loan-to-value (LTV) levels – 75%, 80%, 90% and 95%. For each level of borrowing, we’ve taken the cheapest mortgage available from banks and building societies, respectively, and compared them alongside each other. The deals from building societies have a red icon alongside them. Simply click on the column headers to switch between the different LTVs, and click the links to find out more about each deal on Which? Money Compare. Does your building society offer mortgages? As you can see in the tables above, the deals available from building societies are competitive – and in some cases market-leading. The good news is that many building societies offer their deals across the country, rather than just in their local area. Some lenders are bigger than you might expect, too. 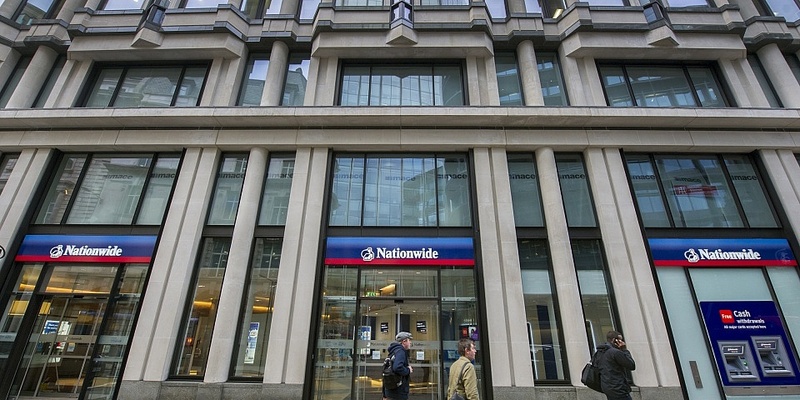 Three building societies – Nationwide, Coventry and Yorkshire – were among the 10 largest lenders in the UK in 2017, according to data from UK Finance. If you’re considering using a building society, it can be helpful to get advice from a whole-of-market mortgage broker, who can access deals that aren’t available directly to customers. The table below shows all of the building societies that offer mortgages, and the areas in which they lend. But how do building societies stack up in terms of customer service? When we surveyed thousands of mortgage holders earlier this year and asked them about the quality of service they received, three building societies – Principality, Nationwide and Skipton – achieved some of the highest scores. Principality topped the charts with a customer score of 80%, Nationwide finished third with a score of 77% and Skipton finished sixth with 73%. Principality customers liked the lender’s flexibility of payments, while Nationwide and Skipton customers gave top ratings for the clarity of their mortgage statements. Find out more: find the right mortgage lender for you with our reviews of the best mortgage lenders. Should you get a mortgage from a building society? While building societies are capable of challenging for top place in the rates tables, they can also be very helpful to those who are concerned they might not be able to get a mortgage, such as first-time buyers with small deposits and self-employed applicants. As well as offering more deals at higher LTVs (particularly 95%), many building societies operate more manual underwriting methods. This means that a human, rather than an automated system, will look at a customer’s mortgage application, potentially reducing the chance of the computer saying ‘no’. Of course, a more manual approach means you might find your application takes longer to be processed, especially if you’re applying to a smaller building society. Find out more: discover the main reasons to use a building society in the full guide from Which? Mortgage Advisers. If you’re thinking of taking out a mortgage and need some advice on your options, it can help to talk to a whole-of-market mortgage broker. For a free chat with an impartial, expert broker, call Which? Mortgage Advisers on 0800 197 8461 or fill in the form below for a free call back. Calculator: how much can you borrow?